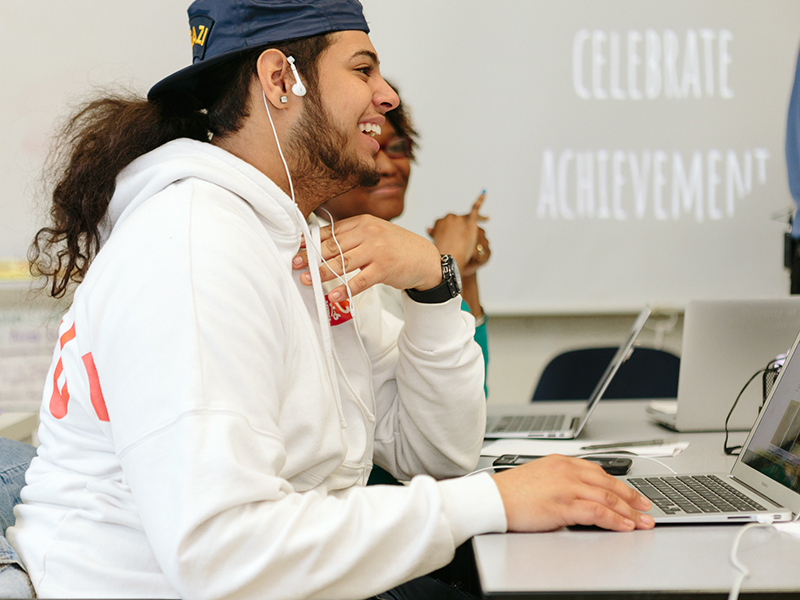 Bronx Arena began building its competency-based system using Common Core State Standards (CCSS) but quickly discovered that they needed something different. The language of the Common Core standards was too complex for students to understand, and it was written at the wrong level of specificity to be helpful in their competency-based system. For example, the standards were too specific to create organizing principles that could be used across disciplines. They were also too vague to identify specific skills and content that should be taught. As a result, teachers ended up “drilling down” to create curriculum, and often did so at different levels of specificity. This resulted in curriculum variations based on educators’ interpretations of the standards, which proved frustrating to teachers, students, and school leaders. To create more consistency, Bronx Arena crafted their own competencies. The new competencies benefit both educators and students. The high-level competencies create more alignment among staff members about focus areas for teaching and learning. The sub-skills also create consistency for educators and students and reduce the prior burden on staff that involved translating abstract standards into actionable curriculum. Students also have a clearer understanding of what they need to do to demonstrate mastery for sub-skills, projects, and earning credits.